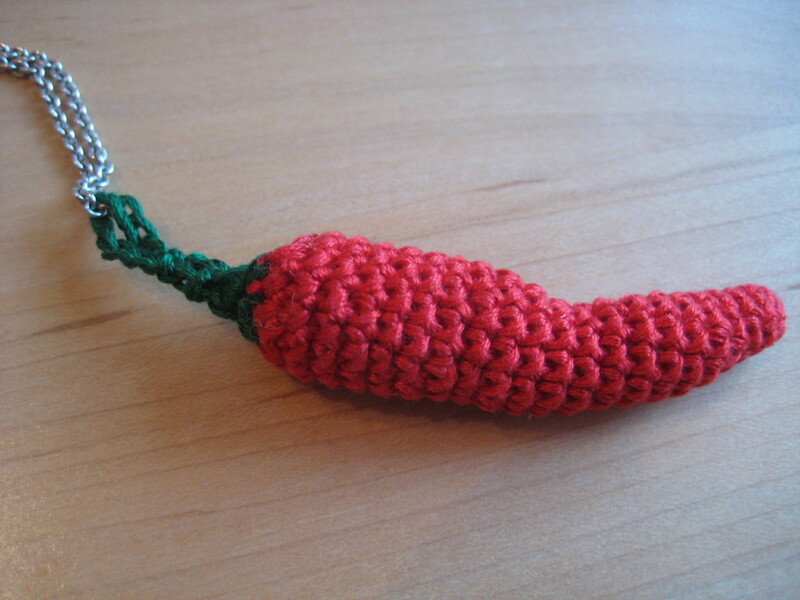 I crocheted this chilli pepper pendant using embroidery thread and made the pattern up as I went along. I’m really pleased with it; I think I will list this one in my shop and crochet another one for me in another red I have lying around! 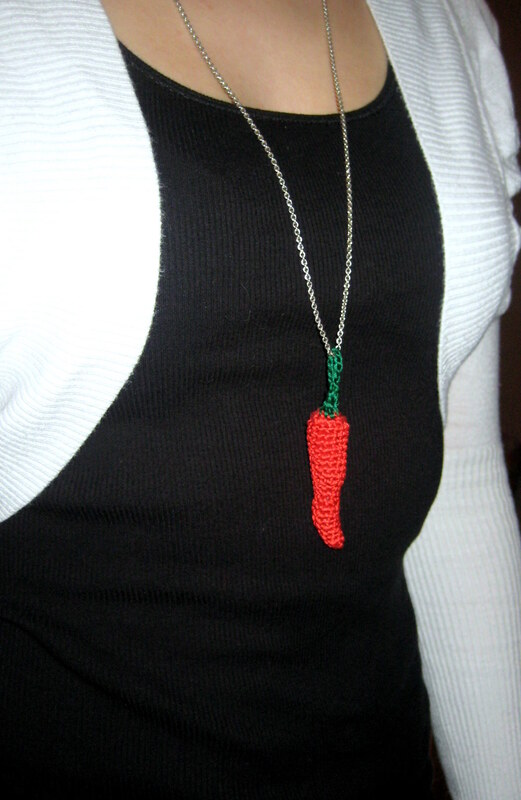 It took a couple of hours because even though it is small I used a tiny hook so it took a while to grow! 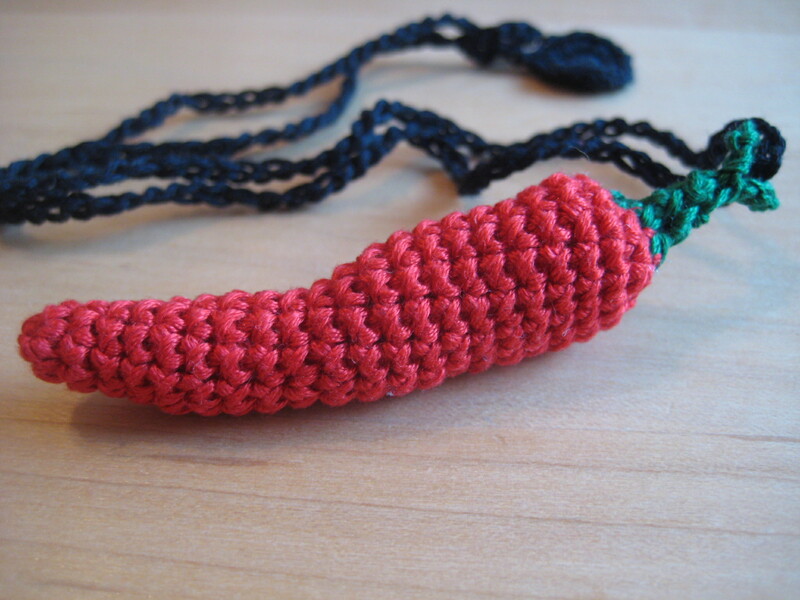 I made a chain out of more embroidery thread but I put a large loop on the top of the chilli so I can string it on whatever I like. Looks good on a long chain!